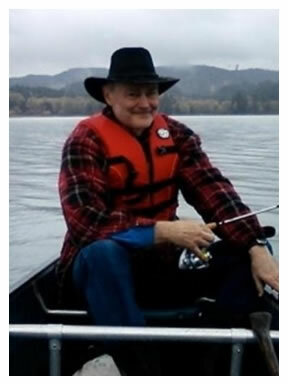 Russell Kroese, age 63, was born Oct. 8, 1950, in Portland, and resided in Newberg. He passed away early in the morning June 18, 2014. His parents were Adrian and Genevieve Moore Kroese. He attended Tigard High School and received his B.S. from Oregon State University. He received his M.A. from Western Oregon University. He worked as a math teacher at Molalla High School for over 30 years where he also coached baseball, basketball and football. He loved baseball and was involved in Newberg youth baseball for several years including being a volunteer coach, equipment manager and umpire as well. His steadfast support of his friends and family shined through in everything that he did. A good day was a day spent on his tractor on his farm that he built together and shared with his wife, Noelle. Sitting on the porch after a hard day of work was their favorite activity. He will be missed by his wife, Noelle; sons, Graham and Duncan; stepsons, Samuel and Timothy; sisters, Barbara Utz, Rowena Marks and Lynette Coleman; and brother, Bruce Kroese. A memorial service will be held at a later date. Contributions may be made to Molalla High School Agriculture Department or McMinnville Power Hour Afterschool programs in care of Macy & Son.